This is Dagfari fra Gårde. He is 8 years old gelding. He is import from Denmark. He is very shy, sensitive and likes to pleasure all the time. 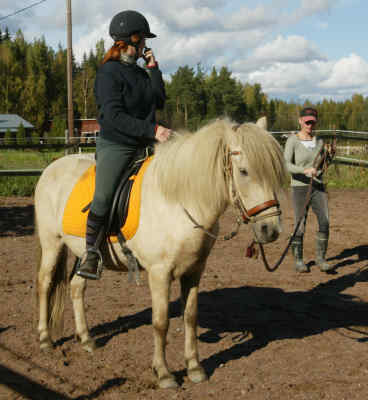 In this picture we are starting to ride him. Earlier he had quite bad rider, so he don't trust so much. or just questions, in general, please feel free to email us.